In a joint bid to help local businesses unlock the potential of emerging technologies, Armagh City, Banbridge and Craigavon Borough Council has teamed up with Digital Catapult NI to host a half-day conference at Craigavon Civic and Conference Centre on Wednesday 10 October from 9.00am to 1.30pm. ‘Connect with Tech: Emerging Technologies and Your Business’ offers a unique and exciting opportunity for local businesses, regardless of size or sector, to learn about advanced digital technologies such as Artificial Intelligence (AI), Virtual Reality (VR) and Augmented Reality (AR), and hear how they are enabling leading Northern Ireland business such as Almac Group, Axial 3D and RPS to drive innovation and revolutionise their industry leading products and services. Presented by Austin Tanney, Head of Life Sciences and Healthcare at Analytics Engines, this event will be invaluable for businesses to embrace emerging technologies and to see how they can have a positive impact. In addition to discovering the infinite possibilities that these new technologies offer, the conference promises to inform and engage in equal measure, with delegates able to hear from practitioners, try out cutting-edge VR and AR headsets, take part in a lively panel discussion and network with larger companies. Speaking about the upcoming conference, Lord Mayor of Armagh City, Banbridge and Craigavon, Councillor Julie Flaherty said, “This event affords a great opportunity for the local business community to increase their knowledge of emerging technologies as well as gain an insight into how others are using it to create competitive advantage. 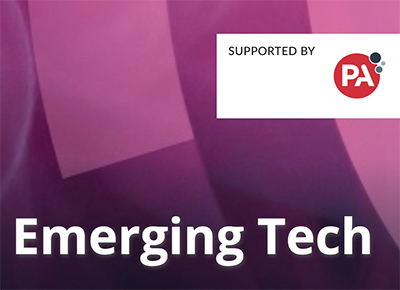 Open to SMEs, large-scale enterprises, sole traders, entrepreneurs and anyone interested in finding out more about emerging technologies and how they could positively impact their business, call 028 9263 3232 or email connect@ndevents.co.uk to register for this free event.